Abstract: The present case describes the 99Tcm-DTPA renal dynamic imaging of bilateral extrarenal pelvis accompanied by severe hydronephrosis of the left pelvis. The extrarenal pelvis is usually asymptomatic and is often found through abdominal examination via abdominal ultrasonography or CT scan. Hydronephrosis generally does not compress the renal cortex because the renal pelvis is located outside the kidney; thus, the patient's early serum urea and creatinine levels are normal or slightly increased. 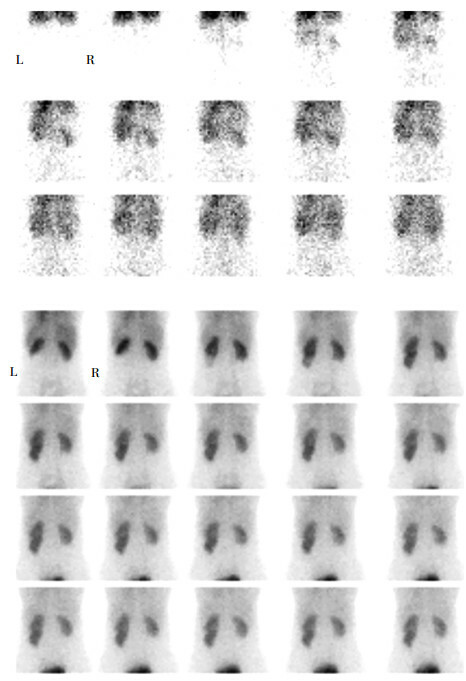 99Tcm-DTPA renal dynamic imaging is the clinicians' first choice for evaluating left or right renal functions. Bilateral extrarenal pelvis, accompanied by severe hydronephrosis of pelvis, presents an abnormal concentration of 99Tcm-DTPA outside the renal area. This abnormality needs to be identified as urinary leakage or renal dysplasia. 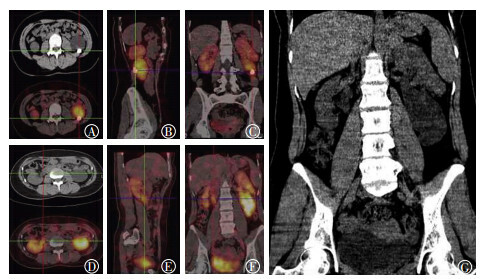 Therefore, we explored the characteristics of 99Tcm-DTPA renal dynamic imaging and the differential diagnosis of extrarenal pelvis with severe hydronephrosis in this study. Understanding this anatomical variation and providing information about renal functions can help clinicians make appropriate clinical decisions and reduce the risk of damage in the renal pelvis during surgery. Filimonov VB, Vasin RV. Pelvic dystopia of the left kidney with extrarenal position of the calycopelvic system with stricture of the pelvicoureteral segment complicated with hydronephrosis[J]. Urologiia, 2011, 2: 75–76.